Wikipedia defines history as the discovery, collection, organization, and presentation of information about past events. It came from the Greek word ‘historia’ – which means ‘inquiry, knowledge acquired by investigation’. This website utilizes entries from Wikipedia to extract historical events from 3761 BC up to the present. There are 105,062 records in the database that include events, births and deaths of popular individuals. 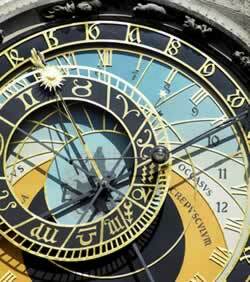 The present day Gregorian calendar was adopted to show dates of interest. Let us begin with what happened today in history. You may also enter a specific day using the form on the right sidebar. What happened on April 20? There are more than 270 events that were made this day in history. Here are the important historical events, facts, and some myths about this day. April 20 is the 110th day of the year 2019. There are 255 days remaining until the end of this year. The day of the week is Saturday. This day falls under the 16th week of the year 2019. On this day in Tucker, Georgia 30085 sunrise will occur at 11:58 AM and sunset will occur at 01:11 AM (local time). The zodiac sign of a person born on this day is Aries. The modern birthstone for this month is Diamond while the mystical birthstone is Opal. According to the Chinese calendar, there are 280 days remaining before the start of the next Chinese New Year (January 25, 2020). Manfred von Richthofen, aka The Red Baron, shoots down his 79th and 80th victims, his final victories before his death the following day. Adolf Hitler’s 50th birthday is celebrated as a national holiday in Nazi Germany. Who Died On April 20? Elmer Gedeon, one of two Major League Baseball fatal casualties during World War II. Michael Fu Tieshan, Chinese bishop (b. 1931).